Images are available for purchase in the size and finish you desire. All prints are produced on quality stock using archival photofinishing processes, or inks. All prints are custom made to order unless you care to purchase framed display prints from current exhibitions. In the north of Holland is a town called Enkhuisen, small community on eastern seaboard, it was founded in the 1600’s and many of its original buildings are still in use — as residences, shops and restaurants. The scene here is an alley that runs behind a series of row houses at the edge of town. 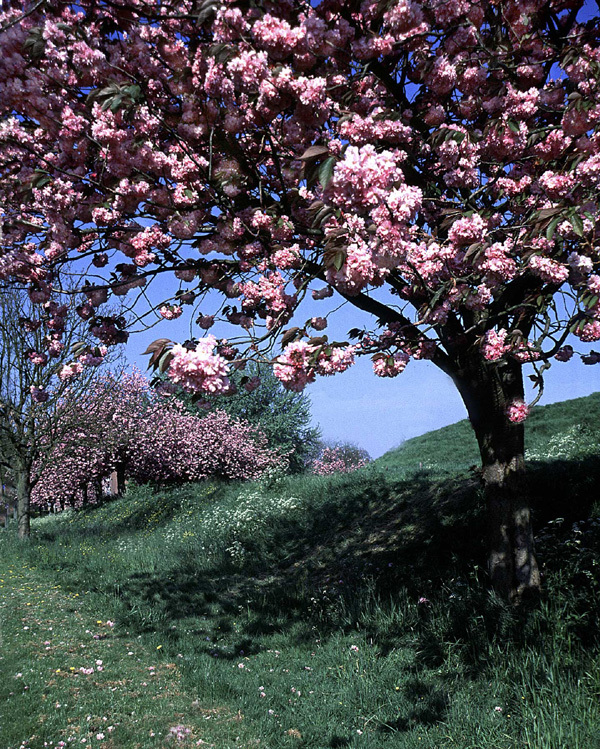 I was struck by the enormous pink blossoms on the tree and marveled at the lack of litter despite the heavily used path. It was a long wait to capture this image without anyone else in the frame. 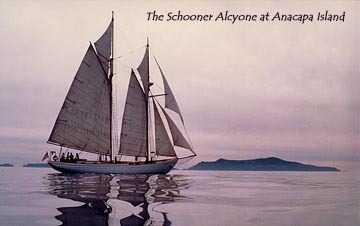 After several hours of light and variable winds, the seas were becalmed and we were left to drift along the glassy surface, an odd circumstance 11 miles offshore near Anacapa Island. I jumped ship and rowed the dinghy side to capture the gorgeous reflection. Most will not notice that even though there is no wind, the sails are full. This miraculous vision was made possible by Captain “Sugar” Flanagan who is furiously spinning the ship’s wheel back and forth, actuating the rudder which causes the ship to “make way” and manufactures brief puffs once each rotation drawing the sails taut momentarily each time. This is very moment when an automobile first exceeded Mach 1 on the ground. 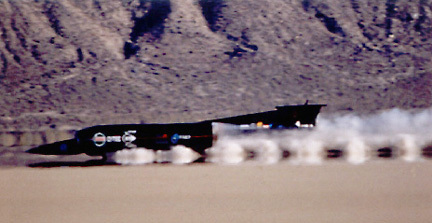 Britain’s Andy Green drives ThrustSSC through the sound barrier at Nevada’s Black Rock Desert in 1997. 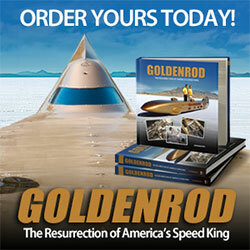 The team set a new World Land Speed Record at 765 MPH on October 15th that same year. This photos has been authenticated by leading aerodynamicists in the United States Air Force at the Pentagon and Imperial College in London.